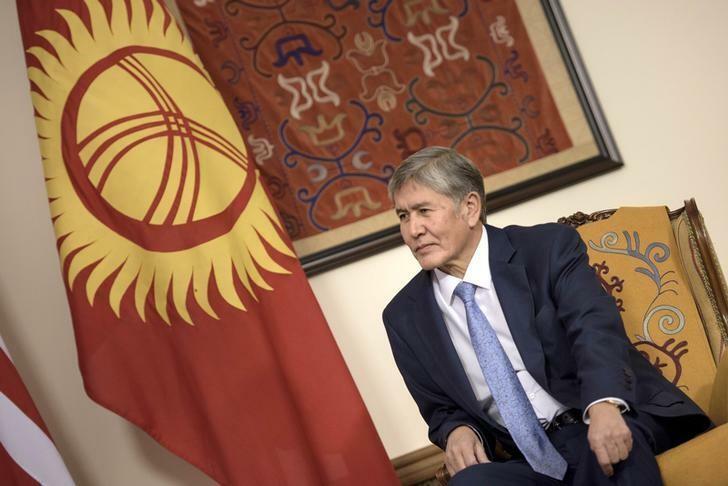 Kyrgyz President Almazbek Atambayev canceled a trip to the U.N. General Assembly in New York on Monday after suffering chest pains during the first leg of his flight, his office said. "According to doctors' preliminary conclusion, the head of state has displayed symptoms of heart problems," it said in a statement, adding that he was in Turkey. Atambayev turned 60 last week. "Because of this, President Atambayev will undergo a medical examination and will be under the supervision of doctors for some time," it said. Atambayev, who has run the formerly Soviet Central Asian republic since 2011, had previously displayed no obvious signs of poor health. The mostly Muslim nation of six million has been volatile for over a decade. Violent protests in 2005 and 2010 toppled two successive presidents. Atambayev has pledged to step down when his term ends in December 2017 and not seek re-election. Kyrgyzstan, which hosts a Russian air base, has cultivated close relations with Moscow under Atambayev, whose Social Democratic party is also the leading partner in the ruling parliamentary coalition. Under the Kyrgyz constitution, a president who is unfit to perform his duties may be relieved of the post by parliament, whose speaker becomes acting president. Kyrgyzstan's neighbor Uzbekistan, the region's most populous nation of 32 million, is in the middle of a transition of power after Islam Karimov, its ruler for 27 years, died this month at the age of 78.